B Mode, where you see a rhythm and choose the sound that matches. At the end of your session, you can email your results to anyone (for example, your teacher) and they can then see how you are doing. 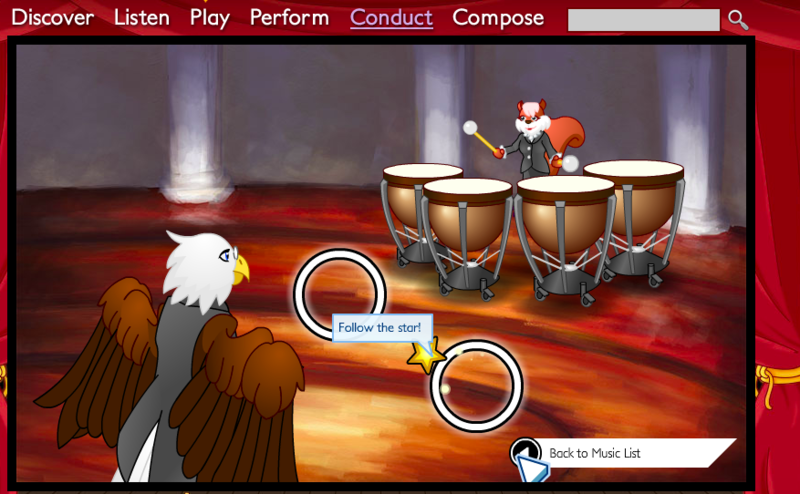 Try your hand at conducting and leading the beat of a song. CLICK HERE TO PLAY THIS GAME! Rhythm is the pattern of sounds through time. It is formed by a series of notes that differ in length and stress. Match the rhythm you hear by hitting a section of the drum set. 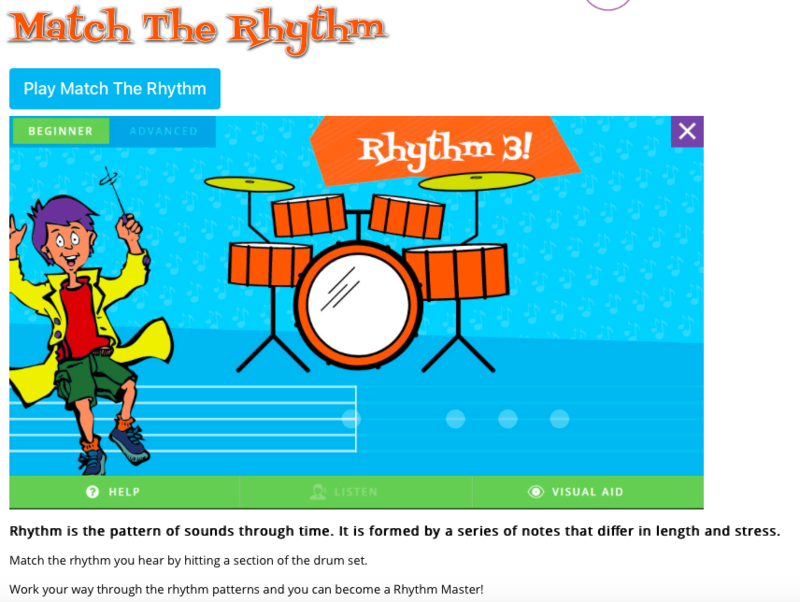 ​Work your way through the rhythm patterns and you can become a Rhythm Master! ​CLICK HERE TO PLAY THIS GAME! 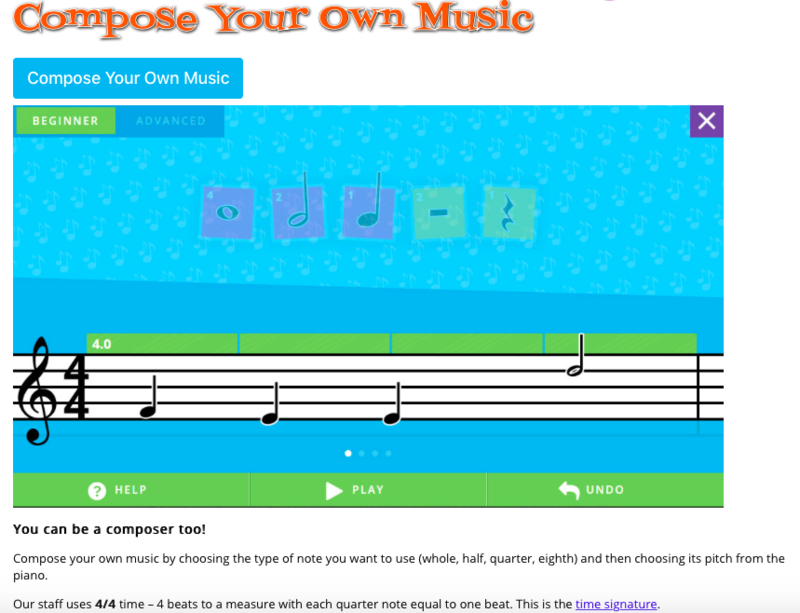 You can be a composer too! Compose your own music by choosing the type of note you want to use (whole, half, quarter, eighth) and then choosing its pitch from the piano. 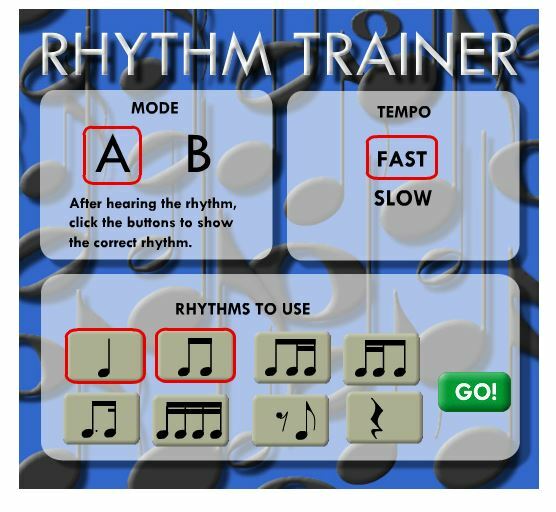 Our staff uses 4/4 time – 4 beats to a measure with each quarter note equal to one beat. This is the time signature. ​You can email your music to a friend – or your parents or teacher!